Need deck construction in Delaware? Searching the web for a “Deck Contractor Near Me”? You’ve come to the right place! Trust an experienced and certified Deck Builder because there’s no better way to relax on a summer afternoon than to stretch out on your private backyard deck. Custom decks are the perfect way to add value to your home and gives you multiple options for entertaining, relaxing, or just taking in the views. There’s no question that a custom deck design built by experienced Archadeck deck builders can enhance your home in a number of ways. When looking for a “Deck Contractor Near Me”, why not start with one of Delaware’s best. We provide exceptional deck building services in towns and cities such as; Newark, Claymont, Hockessin, New Castle, Montchanin, Rockland, Wilmington, Winterthur and Yorklyn, Delaware. Archadeck takes the important task of custom deck design and deck construction to the next level. As such our focus remains on quality, innovation, and industry best practices. We provide only the best deck contractors, deck designers, and deck materials. Furthermore, we ensure the longevity and reliability of our deck construction. You can reate your own custom deck design, or choose from a variety of ready-made designs. As a result, you’ll have a design that integrates well with your home aesthetic. As a result of our commitment to quality craftsmanship, Archadeck deck builders continues to grow year over year. Our deck builders pride themselves on our customer service focus. Having a transparent, reliable deck construction process in place to ensure your deck builders effectuate a custom deck design and deck construction that meets your exacting standards is vital. Send a team of talented deck designers for an in-home consultation and in-depth discussion of your plans for a very special dream deck of your own. Prepare a deck design with 3D image modeling of your proposed deck design, finish, and integration with your home. Coordinate our deck builders and team for construction project management around your schedule, ensuring sensitivity and convenience to your busy lifestyle. Conduct final inspections and walk throughs with you to ensure the finished product meets your satisfaction. 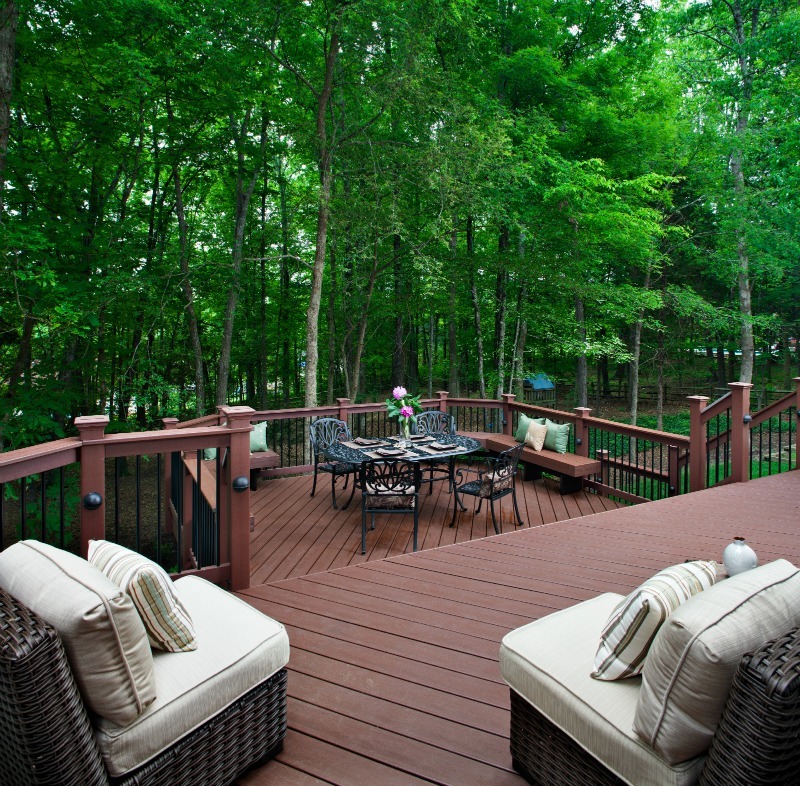 Make adjustments as needed until you are wholly satisfied with your deck design project. Your search for a “Deck Contractor Near Me” has ended! Archadeck Deck Builders has earned the trust of our customers! Just look at our gallery of images. Browse our galleries to look at what we can do for you as your custom deck builder. We’ve built some wonderful decks, and as a result, our customers rate our services highly. Let us provide a free consultation, get in touch with us. We’re committed to being the top deck designer in Delaware, and so we’d welcome the opportunity to show you how a custom deck can enhance your home’s features, potentially raise your property values and ultimately, open up a wealth of opportunities.